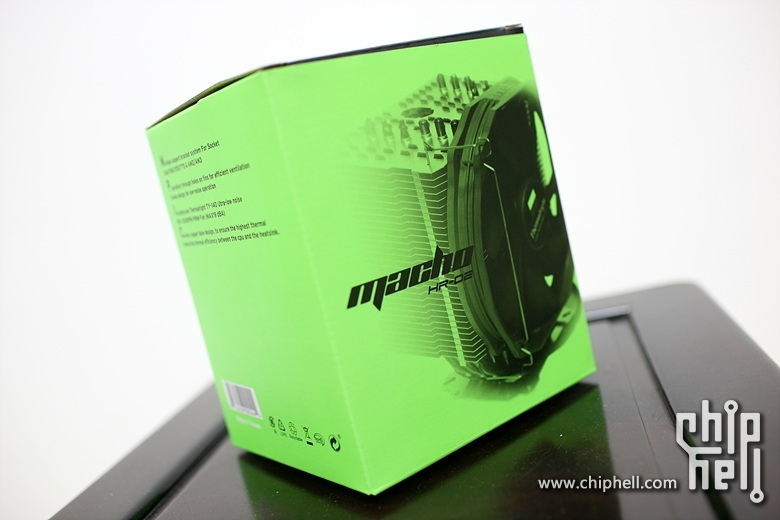 Thermalright’s upcoming HR-02 MACHO CPU Cooler has been unveiled and pictured, The cooler is a cheaper version of the massive HR-02 cooler which was released back in July 2010. 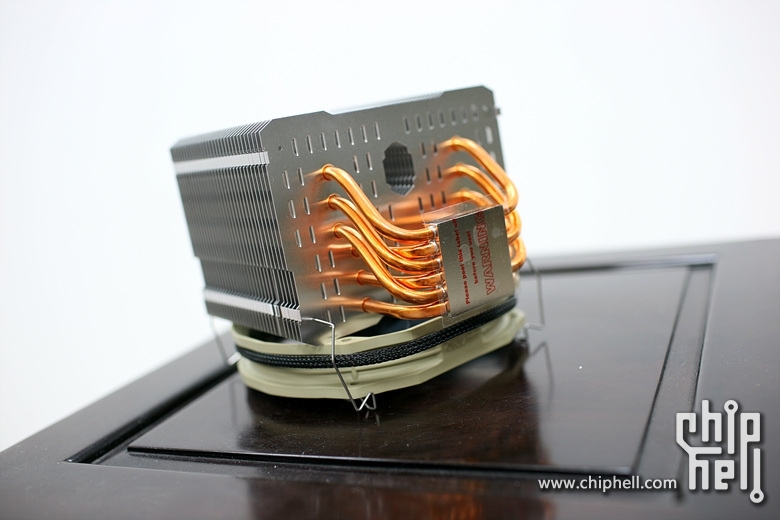 The main difference in the new cooler is that it uses a large aluminium heatsink blow equipped with 6 Copper heatpipes compared to the Nickel plated pipes used in the original HR-02, The heatpipes dissipate heat from C1100 nickel plated copper base which are then cooled by the 140mm TY-140 which is bundled with the package. 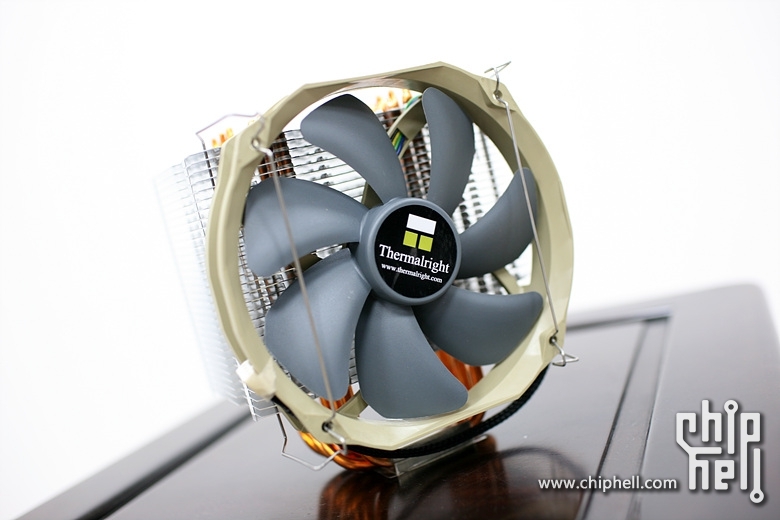 The fan runs at 900 ~ 1300RPM (PWM control) while Noise is maintained at 19 ~ 21dBA with airflow of 56 ~ 73CFM, The fan is powered by a 4 pin connector. Total weight of the heatsink is 860 gram (Dimensions: Length 110mm x width 140mm x 160mm height). 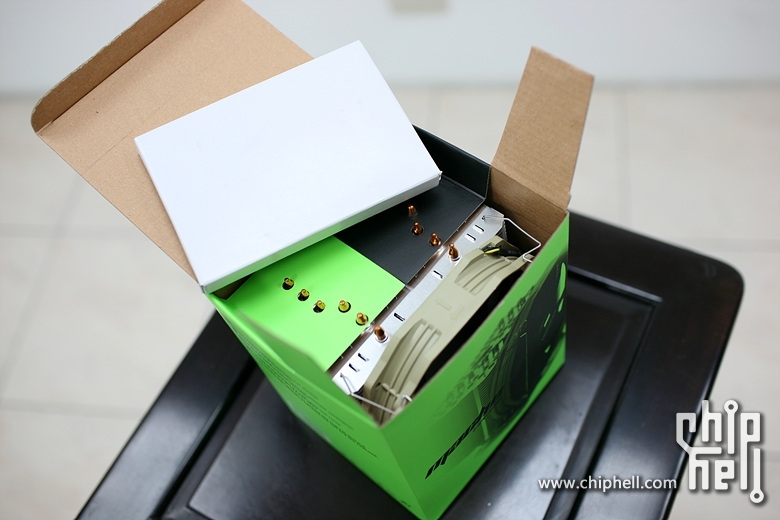 The heatsink would be compatible with all of the current sockets (AM3,AM3+, LGA 1155/1156/1366). According to the soruce, The heatsink would be available for 1500 NT (New Taiwan Dollar) which falls around 50-55 US Dollars, Release date is yet unknown.